Identity theft protection services help you monitor your financial accounts, make sure your personal information isn’t being used without your permission, deter thieves who want to steal your identity, and resolve issues quickly if your identity does get stolen. IDShield and IdentityForce both offer excellent protection, but it may be hard to decide which service suits your needs. Keep reading to learn more about the key differences between them so you can choose one that works best for you. Both companies offer the same basic protections such as lost wallet assistance, change of address verification, and SSN monitoring—the key differences are credit monitoring, family coverage, and PC protection tools. IDShield doesn’t offer full credit monitoring—you can get your credit score every quarter, but from only one of the three credit bureaus. IdentityForce, on the other hand, offers daily credit monitoring from all three credit bureaus and instant access to your reports and scores—also from all the bureaus. The bureaus all have slightly different information about your credit history and activity, so if you want the whole picture, you need reports from all three. IdentityForce also offers a credit score simulator so you can test out real-life scenarios (like purchasing a new car or paying off a student loan) to see how specific actions will affect your credit score. You’ll need to sign up for the UltraSecure+Credit package to get all the credit monitoring benefits, but we believe the extra protection is worth the slightly higher price. IDShield makes it easy to protect your whole family from identity theft. If you upgrade your package to the family plan, it covers two adults and unlimited children under 25 years old. You can get child coverage from IdentityForce, but you pay per child and pricing for this service is not very transparent. IdentityForce is the only company in our top three that offers anti-phishing and anti-keylogging software. While this doesn’t completely prevent identity theft, it does make it harder for criminals to get access to your information. IDShield’s monthly plan is less expensive than plans from IdentityForce, but both companies offer reasonable prices. While IdentityForce is more expensive than IDShield, it is less expensive than some of the other companies in the industry. IdentityForce also offers more features than IDShield—particularly if you choose the higher-tier plan that comes with credit monitoring. IDShield and IdentityForce both have good reputations and accessible customer support, so if you ever have questions or need help resolving an issue, it should be easy to get what you need. IdentityForce has a slight edge over IDShield because there are many online educational resources on IdenityForce’s website. These resources make it easy for customers to find answers to smaller questions on their own if they don’t want to contact customer service. IDShield offers good basic identity protection for the whole family (part of why it made our list of recommended companies). However, IdentityForce beats out the competition when it comes to coverage by offering full credit monitoring with the UltraSecure+Credit package. Since identity theft can have very real financial consequences, we recommend opting for service that includes credit monitoring. IdentityForce also offers all the essential identity protection features you’d expect, like social security number monitoring, bank and credit account notifications, and court record monitoring. IDShield and IdentityForce both have mobile apps that give you access to your account whenever you want it. IDShield’s app is well reviewed, and the company has a history of keeping the iOS and Android app up to date. IdentityForce’s app is quite new, so it has fewer reviews than other apps. However, the company incorporated customer feedback and beta testing when building the app, and the final product is easy to use and gives customers fast access to lots of information. Price $12.95/mo. $19.95/mo. $9.95/mo. $19.95/mo. 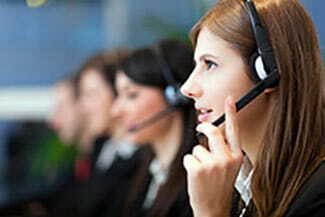 IdentityForceoffers lots of coverage, excellent customer support, reasonable prices, and full credit monitoring. While not everyone looks for credit monitoring, we believe it is a useful addition that makes it easier to protect your finances from identity theft. In most cases, we’d recommend paying a bit more and choosing IdentityForce’s UltraSecure+Credit package with full credit monitoring instead of IDShield’s less expensive packages with fewer credit-monitoring features. If, however, you’re looking for protection that covers the whole family and you aren’t worried about credit monitoring, IDShield may be the right option for you. Have you used an identity theft protection service? We’d love to hear about your experiences. Share your thoughts in the comments below!